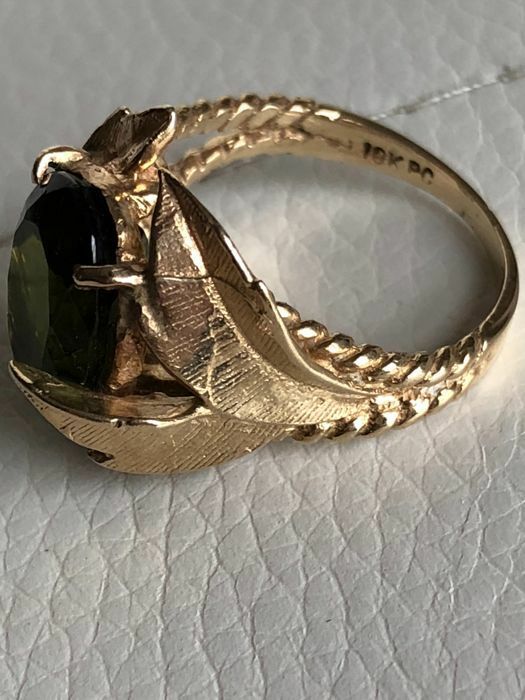 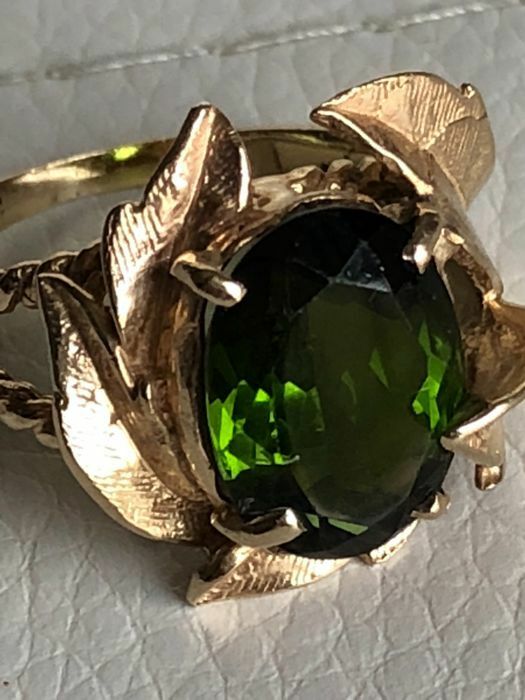 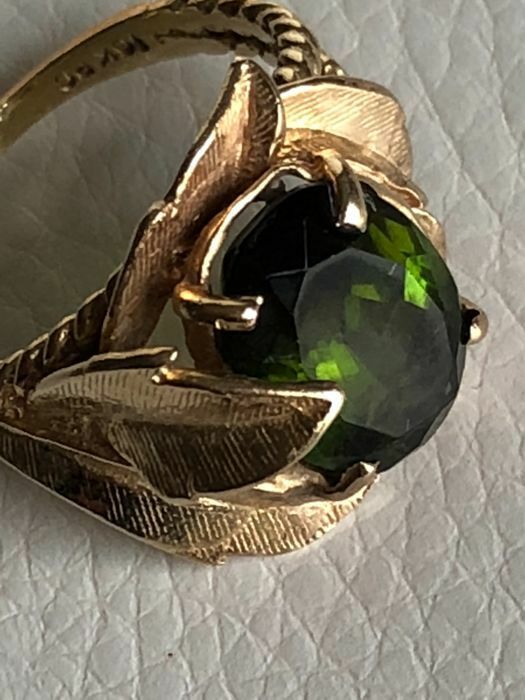 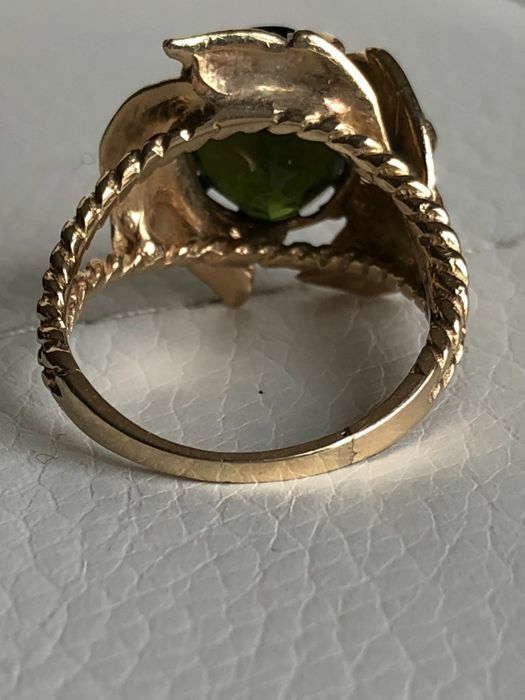 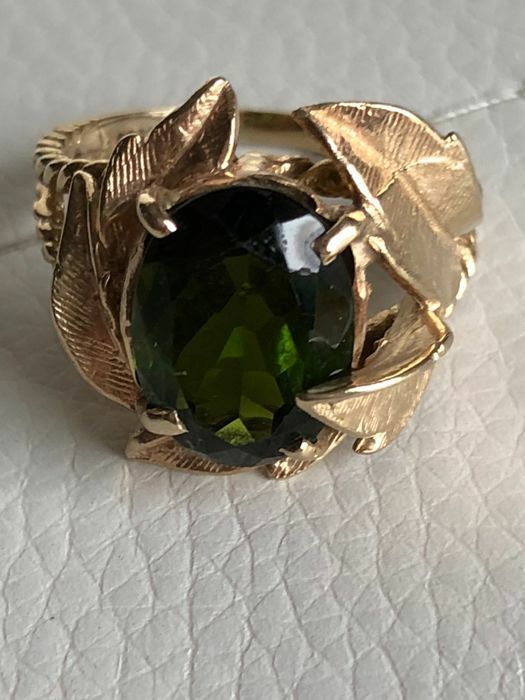 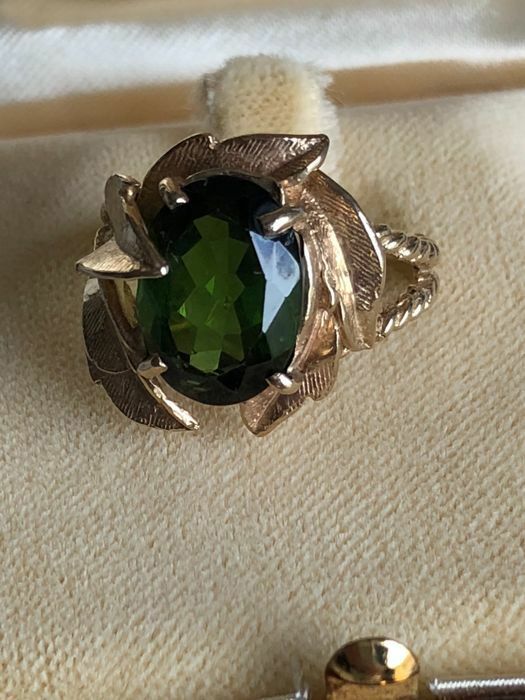 Fabulous gold ring with a gorgeous, gleaming tourmaline in a deep green colour, 11 x 9 mm, approx. 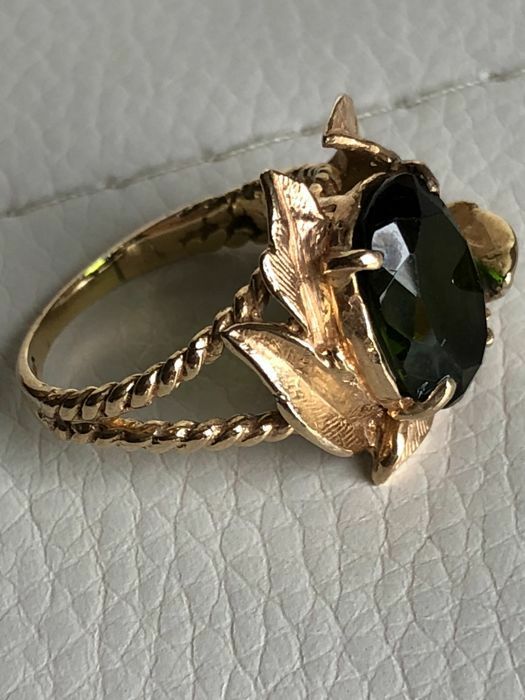 5 ct, meticulous and detailed crafting of the handmade leaves. 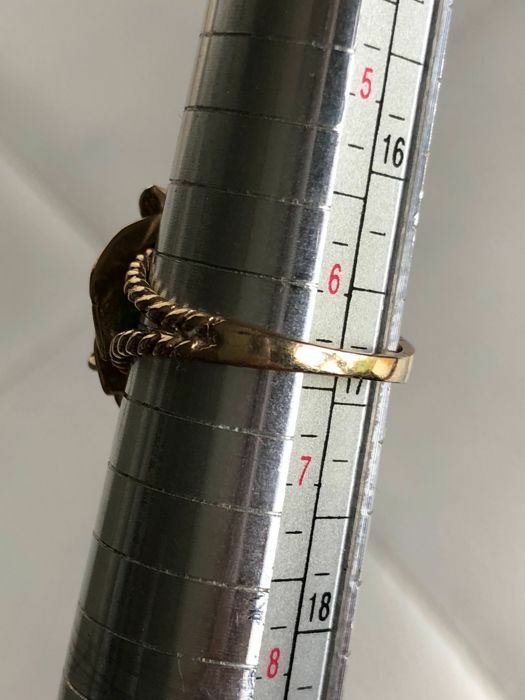 Insured and tracked shipment via courier. 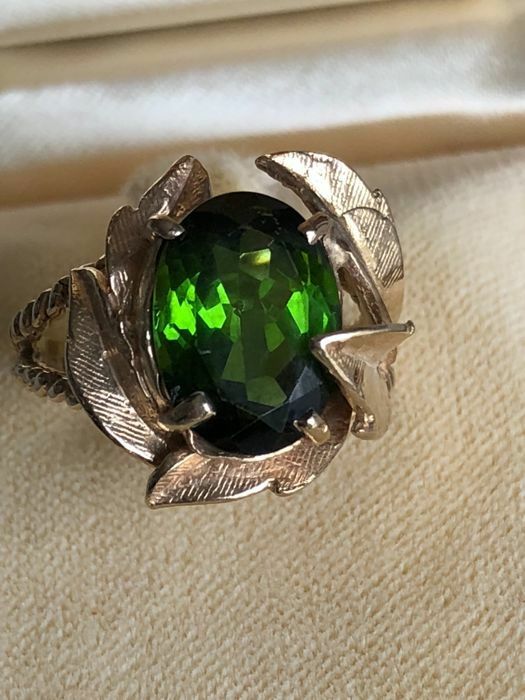 Coloured gemstones are often treated to intensify their appearance; this stone has not been tested in this regard.